From A Qualified Altamonte Springs Health Insurance Consultant! PPO Stands for Preferred Provider Organization. It is a form of managed care that offers you in and out of network benefits. PPO plans negotiate contracts with hospitals, doctors, and other providers that will accept lower fees for their services. In return for accepting the negotiated contract for their services the insurance company adds them as providers to their network. This enables providers of medical services to obtain new patients via the PPO network. It is always best to use your in network benefit providers first as the cost-sharing will be lower than if you go outside the network of providers. 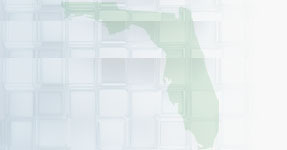 Do you like your Florida Group Health Insurance Coverage? One of the best benefits that your employer can offer is group health insurance. After all, prices of health insurance are on the rise, and purchasing your own coverage is never as cost effective. Of course, you may not like the Florida group health insurance policy that you are offered. If you find yourself in this situation, you need to make a decision on how you want to structure your personal health insurance. For most people, receiving group coverage is good enough; no matter what the plan has to offer. Remember, more and more companies are getting rid of this benefit altogether. With rising costs, you are very lucky if your company, big or small, has yet to cut back in this area. It would not make much sense to purchase an individual health insurance policy if you could save money by getting on a group plan. But if your company is not paying 100 percent of your premium, your situation is much different. If this is the case, you may be able to locate a better and more affordable health plan elsewhere. You do not have to get on your company's health care plan unless you want to. If you think that you can do better on your own or by getting coverage from a spouse's employer, go for it. But remember, group health insurance is not as common as it once was. This is a benefit that you should fully appreciate. By now, you are probably well aware that more and more companies are dropping group health insurance coverage as a way to save money. While this is good for the company's bottom line, it does not do much for the employees. Of course, there are a couple of steps that you can take if this situation is going to become a reality in the near future. First off, you need to find out if your company is cutting out health insurance coverage altogether, or if they are only cutting back. For instance, they may pay for your entire premium now, but will only pay for half in the future. After you have this information it will be much easier to make a decision on how to proceed. If your company will stay pay for a portion of your health insurance, you will probably be best off sticking with your current policy. Remember, it usually costs more to buy health insurance on your own. On the other side of things, if group coverage is going to disappear altogether you need to come up with an immediate game plan. You will want to find out when your policy is going to expire, and then make sure that you have an alternate solution in place so there is no lapse in coverage. You never want to do without health insurance even if you think you can get away with it for a week or so. It is never fun if your company decides to get rid of group coverage. But if they do, this is a decision that you must deal with accordingly. If you think that small businesses in Florida are the only ones affected by the decline of the health insurance industry, you are wrong. Large companies in the state are also cutting back on health care benefits as a way to keep costs under control. Remember, larger companies have more employees. In turn, this means that they are forced to pay out more in health care coverage. In many cases, it is the larger companies that cannot afford to pay 100 percent of health insurance costs for their employees. Of course, before these companies make any changes, they look at all of the options that are available. For instance, moving from a PPO plan to an HMO plan often times can lower the overall cost of group health insurance coverage. This may anger employees and cause them to make some changes, but in the long run it allows coverage to be continued. Most employees would agree that any health plan that they get for free is better than one they have to pay for. Just like businesses in other states, many in Florida have been forced to cut back on the amount of coverage that they offer through their group plan. Some companies have gone from paying 100 percent of an employee's health insurance plan to 50 percent or less. In some instances, companies have cut coverage out altogether as a last resort. For large businesses trying to control profits, controlling the cost of benefits, including health insurance, is very important. Florida Governor Charlie Christ, as well as the next president, will be working hard to improve this situation. The cost of health insurance and health care are having a profound effect on many businesses across the country. In the state of Florida, like many other places, small businesses are finding it difficult to pay 100 percent of the health insurance premium for every employee. This has become increasingly more difficult due in large part to rising costs with no end in sight. What are small businesses in Florida doing to combat this issue? Well, there are two options that they can look at when reviewing their group health insurance policy. First and foremost, a company can cut out health insurance altogether which results in a huge boost to their bottom line. Of course, this is not something that makes current employees happy. Additionally, prospective employees will not be thrilled about taking a job in which they will not receive health insurance. The other option is to pay a predetermined amount each month. For instance, this could result in the company paying 75 percent, and the employee being responsible for the other 25 percent of the premium. The percentages used are based largely on what each company is trying to accomplish. Is it easier to purchase Florida health insurance through a broker? This is a common question, but one that has several different answers. While many think that using a broker is a dream come true, others would rather move forward on their own. Before you can make a final decision, you need to learn about the many benefits of having a broker on your side. You may find out soon enough that there is no other way to buy Florida health insurance. The number one benefit of buying Florida health insurance through a broker is that he or she will do all of the work for you. Not only will they collect your information, but they will shop around for policies that will fit your health, personal life, and of course, your budget. You never have to locate and obtain quotes and policy details on your own. Another big benefit of using a Florida health insurance broker is that they can answer your questions. Unless you have purchased health insurance in the past, you probably don't know much about what you are doing or what is available within the state. When you can call a broker at any time to ask questions your chance of success sky rockets. Overall, don't overlook the benefits of using a broker when attempting to buy Florida health insurance. You do not pay a broker one cent, so there is really no reason to pass this up. Unless you are 100 percent comfortable with buying on your own, you should hire a broker to work on your behalf. When you work for yourself, buying health insurance is one of the most important parts of your monthly budget. Luckily, there are many self-employed Florida health insurance policies that are perfect for people in this situation. For those who do not receive an employer sponsored health insurance package, buying an individual policy is a way of life. The question is: how can you find self-employed Florida health insurance? Better yet, once you find a few policies, how will you choose which one is best for you? The first thing that you need to do is locate companies that offer individual policies. If you do enough research, you will even come across some providers that offer policies to self-employed workers. These are similar to individual policies, but geared more towards self-employed individuals who need a special set of features and cost to make ends meet. If you are having a difficult time finding self-employed Florida health insurance, you can use a broker. They will know which insurers offer self-employed policies, and how you can go about buying the coverage you need. Most people in this situation find that using a broker is advantageous because they know where to start the search process. Being self-employed in the state of Florida does not have to be scary from a health insurance point of view. Instead, you can purchase a policy for self-employed workers and in turn receive top quality coverage. Remember, just because you are not able to take advantage of an employer sponsored plan does not mean that you will be stuck with huge health care bills. Are you interested in lowering the cost of your Florida health insurance? If so, there are some ways that you can do this without making too many major changes to your lifestyle. Remember, it is important to consider your level of health before you begin to change policies. If you attempt to do this when going through treatment for an illness, things can get a bit sticky. One of the best known ways to lower the cost of your Florida health insurance policy is to raise the deductible. This is more money that you will owe out of your pocket, but if you never have to seek medical attention, you will save a lot from year to year. Of course, having a high deductible is not all that bad; as long as you can afford to pay it if need be. Another way to lower your costs is to switch companies. Many insurers have higher rates because they have a better reputation. Additionally, they may also work with a larger network of providers including doctors, hospitals, etc. When you decide to buy from a company that is not known as much within the industry, you should be able to save money. When attempting to lower the cost of Florida health insurance, you want to make for certain that you are not getting rid of all your benefits. Remember, when you opt for a lower priced policy it is only natural that you lose some coverage. If it is important for you to have a certain level of coverage, you must proceed with absolute caution. Overall, you can lower how much you pay for Florida health insurance each month. If money is tight, consider how you can save some money in this area of your budget. When buying a Florida health insurance policy you need to know what is available. One thing is for sure: not every policy is alike. In fact, you will find out soon enough that there are many differences between Florida health insurance policies. Before buying, you will want to know the common differences and how they will effect your decision. The first thing to consider is if you want an HMO or PPO. If you are not familiar with the health insurance industry, you may not know the difference. Generally speaking, with an HMO Florida health insurance policy you will only receive full coverage when you see providers who are in a network that is determined by your provider. On the other side of things, a PPO offers more options in this area but usually costs more. Moving on, many individual Florida health insurance policies have a deductible. This is a dollar amount that you will have to pay each year before your Florida health insurance policy kicks in. Lower deductibles mean a higher payment. You need to weigh your budget against how low of a deductible you can find. If you are worried about paying large medical bills, you will want to find a Florida health insurance policy with an out of pocket limit. For instance, if your out of pocket limit is $4,000, this is the most that you would have to pay in a given year. Is this a lot of money? Sure is; but it is better than having no limit at all. There are many other differences that separate Florida health insurance policies. As you are researching what is available, you will find that these differences play a large part in the policy that you end up buying. How much to Spend on Florida Health Insurance? How much money should I be spending on Florida health insurance? This is a common question among residents who purchase their own policy. If you are in this situation, there is no easy way of saying how much money you should spend. In fact, the cost of Florida health insurance is based largely on your situation, as well as how much money you are willing to part with. To determine how much to spend on Florida health insurance, you should first consider how much you have. If you can only afford a certain amount of money each month for insurance, this will help to narrow down your options. What does your budget allow for? Of course, you also need to consider what you need as far as Florida health insurance is concerned. In other words, do you need a policy that offers a lot of coverage because you are the type that gets sick on a regular basis? Finally, you may not only be insuring yourself. There are many people who need to purchase Florida health insurance for a spouse and/or children as well. Obviously, this will affect how much coverage you can get, and the amount of money that you will pay out. If you are buying your own Florida health insurance, it is your decision on how much to spend. You may have no problem buying the best coverage, but maybe your budget does not allow for this. The bottom line is that your situation will dictate how much you spend. Being comfortable with your finances will allow you to make a solid buying decision. Millions of people have opened health savings account thanks to all of the benefits that they offer. If you are considering one of these accounts, you will want to be aware of both the benefits and disadvantages. After all, opening a health savings account is a huge step in your financial life. If you are unsure of what you are doing, you may not be making the best decision from a money and personal health standpoint. Here are several benefits of a health savings account. 1. At the time of depositing funds, the money is not subject to federal income tax. For many people, this tax break is reason enough to put some of their cash in this type of account. 2. It is widely believed that the use of health savings accounts will help to increase the overall efficiency of the health care industry. Additionally, by being able to open a health savings account, more people have the ability to take care of their medical expenses out of their own pocket. 3. Money in a health savings account does not necessarily need to be used on medical expenses. But of course, if you withdrawal this money before retirement, you are going to incur a penalty much like you would with an IRA. All in all, it should be your goal to only use the money in one of these accounts for medical expenses. Before you open a health savings account, you need to make sure you are well aware of the pros and cons. More than three million people have found a health savings account to be useful. But of course, there are many others who have looked into this but decided to move in another direction.